The droptop boasts all the upgrades from the coupe, and the roof goes down, too. 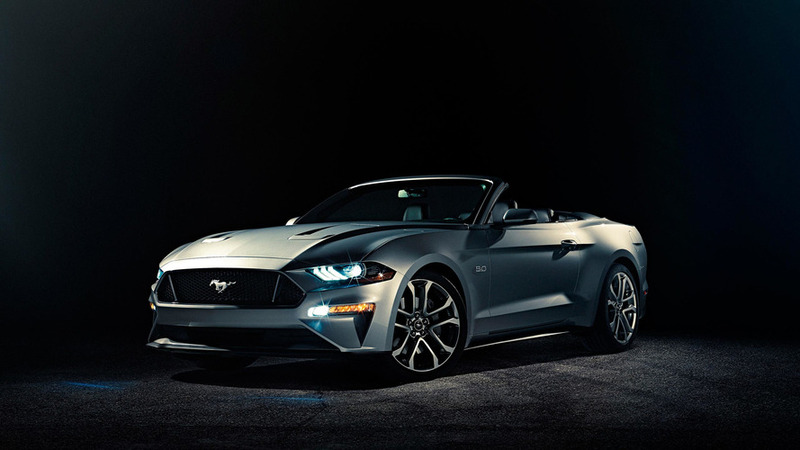 Just days after revealing the refreshed, sharper look of the 2018 Ford Mustang, the Blue Oval rips its top off to show off the updated Convertible. The open-roof model offers all the style of its sibling but adds lets occupants feel more wind in their hair. The 2018 Mustang Convertible is practically identical to the hardtop. The only differences are at the back where the deck lid is flatter to create a place for storing the roof when the top is down. The trunk opening also looks like it might be slightly smaller than on the coupe, too. Buyers have a ton of options to customize their convertible. Like on the coupe, Ford adds three new paint colors: Kona Blue, Orange Fury, and a maroon shade called Royal Crimson. There are also 12 wheel designs to choose from. Mechanically, the convertible gets all the upgrades from the coupe. A higher compression ratio gives the 5.0-liter V8 more power and better fuel economy. The engine is also available with an active exhaust that lets drivers choose between a deep growl or a quieter purr. Tweaks for the 2.3-liter turbocharged four-cylinder gives it more torque. Ford isn’t discussing the exact outputs of either powerplant yet, though. 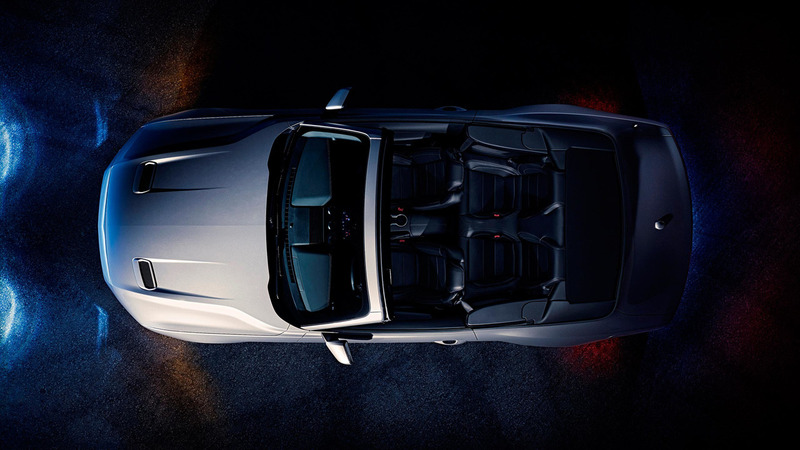 Mustang Convertible drivers can also feel more secure because of the additional available safety systems. Customers can now get Pre-Collision Assist with pedestrian detection, distance alert, lane-departure warning, and lane-keeping assist. Plus, the optional MagneRide suspension should make the droptop feel more planted by specifically tuning the ride for a comfortable feeling when cruising and firming up when the road gets curvy. 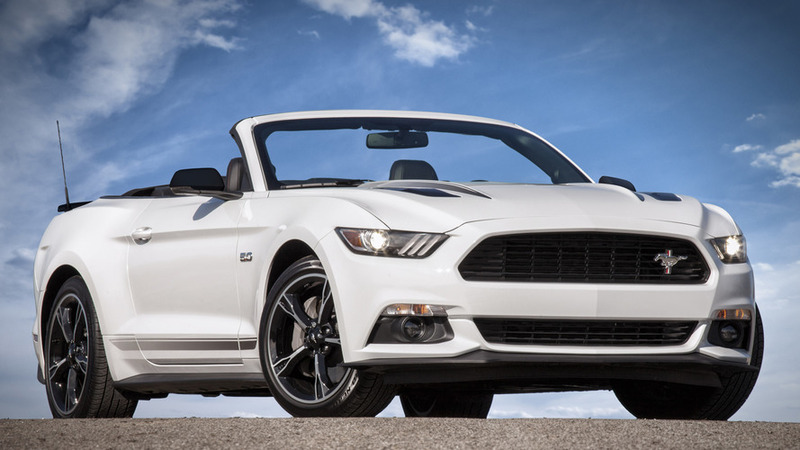 Like the coupe, the Mustang Convertible will go on sale this fall. Ford’s announcement didn’t mention pricing, but company spokesperson Dan Jones told Motor1 that there would be "more details closer to launch." JAN 20, 2017 | DEARBORN, MICH.
DEARBORN, Mich., Jan. 20, 2017 – Today, covers come off the new Ford Mustang convertible – America’s best-selling sports car – as it kicks off a tour of more than 50 regional auto shows across the country before going on sale in North America this fall. Also the world’s best-selling sports coupe, Ford’s most advanced Mustang ever delivers a host of improvements, including new technology and design changes that give owners more ways than ever to customize the car to their preferences. There are three new paint colors, 12 distinct wheel choices and a customizable digital instrument cluster. More powerful engines and new MagneRide™ suspension technology provide even better performance.